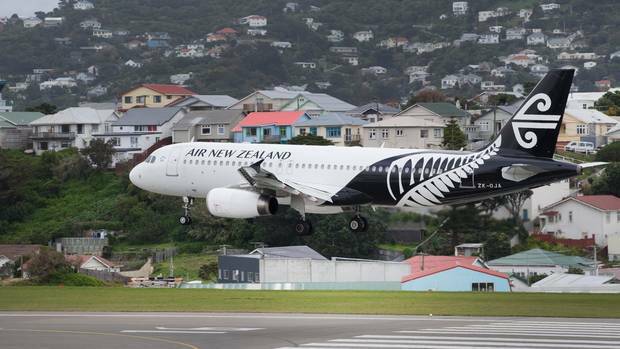 Aviation unions have slammed Air New Zealand for releasing "misleading information" about planned strike action by its engineers but have agreed to mediation talks next week. Air New Zealand engineers are planning to strike on December 21 - the busiest travel day of the year - putting Christmas travel plans at risk for tens of thousands of travellers. The unions (The Aviation and Marine Engineers Association and E tū) representing Air New Zealand's aircraft maintenance engineers, aircraft logistics and related staff served the notice. Savage, the aviation spokesman for E tū, said workers had voted to issue strike notices in responses to Air New Zealand's demands for cuts to their conditions. The strike action is set to involve almost 1000 staff members on December 21, and could affect the travel plans of 42,000 customers booked to travel on that day. However, Savage said unions had agreed to mediation talks on Monday to try and resolve the dispute and avert the strike action. A statement from Air New Zealand today said that, while the group of engineers has received pay increases annually for the past 12 years, it has so far rejected recent proposals by the airline including an immediate 2% pay increase followed by a further 3% increase after 12 months, with a further pay review in mid-2021. Air New Zealand said the average income of the maintenance engineers, logistics and other staff to strike is $115,000 - and around 170 of them earn more than $150,000. In addition to the pay concerns, staff are also asking for an extra week of annual leave for employees with five years' service (taking shift workers to six weeks a year), free reserved car parking spaces within 500 metres of their workplace, and the right to renegotiate terms just prior to the busy Christmas season again next year. Air New Zealand General Manager Aircraft Maintenance Viv de Beus described the proposed strike action as extremely disappointing. "It would be devastating to see the holiday plans of more than 40,000 hardworking Kiwis and international visitors ruined. "We have only been in negotiations with this group for six weeks so industrial action is entirely premature. We remain committed to working closely with the engineers' unions to reach a reasonable agreement and avoid strike action if at all possible." E tū's aviation spokesman Savage said engineers and logistics workers had voted to issue strike notices in responses to Air New Zealand's demands for cuts to their conditions. Savage said no one wanted to disrupt people's Christmas plans "..but Air New Zealand has taken an unnecessarily aggressive approach." More than 970 engineering members of E tū and the Aviation and Marine Engineers Association voted 95% to strike, at meetings in Auckland, Wellington and Christchurch this week. Earlier this month, Auckland Airport revealed its busiest days over the holiday period. On eight other days - December 20, 21, 23 and 26, and January 3, 4, 5, and 13 more than 40,000 travellers are expected through the same terminal.